The 28-year-old celebrated his return to the side with a match-winning 54 not out off 33 balls against MI. Robin Uthappa returned to the Indian ODI setup after a gap of six years as the selectors picked an experimental 15-member squad for a three-match ODI series in Bangladesh. The matches will be played in Mirpur on June 15, 17 and 19. Uthappa has been a revelation this season with 536 runs in eight matches in the Vijay Hazare Trophy followed by 655 runs in 15 matches in the ongoing IPL. The 28-year-old last played for India in an ODI in July 2008. “His selection was a formality,” said a source close to the selection committee. 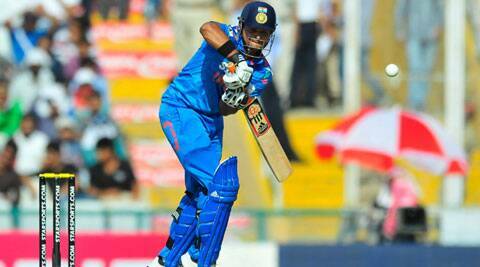 Suresh Raina also earned a recall after being left out of the squad for the Asia Cup in March. The left-hander was dropped after scoring only two half-centuries in his last 24 innings. He celebrated his return to the side with a match-winning 54 not out off 33 balls against Mumbai Indians, which took his overall tally in this IPL to 436 runs from 15 matches. The squad resembles an ‘A’ team with few regulars. Mahendra Singh Dhoni, Virat Kohli, Rohit Sharma, Shikhar Dhawan, Ravichandran Ashwin, Ravindra Ashwin, Mohammed Shami and Bhuvneshwar Kumar have been rested ahead of their English sojourn. Only Ajinkya Rahane, Cheteshwar Pujara, Ambati Rayudu, Stuart Binny and Amit Mishra were retained from the squad that went to the Asia Cup. A host of new-comers have been brought in. Notable among them are Maharashtra middle-order batsman Kedar Jadhav, who has been rewarded for his 1,223 runs in the 2013-14 Ranji season. Left-arm spinner Akshar Patel got the nod for being miserly in this IPL. The 20-year-old Kings XI Punjab player has 16 wickets at an economy rate of 6.22. Wriddhiman Saha has broken into the limited-overs squad at the expense of Dinesh Karthik, who was dropped after a poor Asia Cup. Manoj Tiwary has been recalled after waiting on the sidelines for almost a couple of years, with Parvez Rasool, who went to Zimbabwe but didn’t get a game, getting a second opportunity. “This is a tour that allows us to have a look at our reserve bench. This is also a big opportunity for the youngsters to make a mark. With the series against England approaching, the seniors were rested,” said the source. ODI squad for Bangladesh: Suresh Raina (capt), Robin Uthappa, Ajinkya Rahane, Cheteshwar Pujara, Ambati Rayudu, Manoj Tiwary, Kedar Jadhav, Wriddhiman Saha, Parvez Rasool, Akshar Patel, Vinay Kumar, Umesh Yadav, Stuart Binny, Mohit Sharma, Amit Mishra.